PAIEA (1871) The 386 ton bark Paiea (Paira Kahola) was trapped in the ice and abandoned September 14, 1871 at Pt Belcher near Wainright Inlet. The Paiea was valued a $20,000 and was carrying a cargo of whale oil and bone. 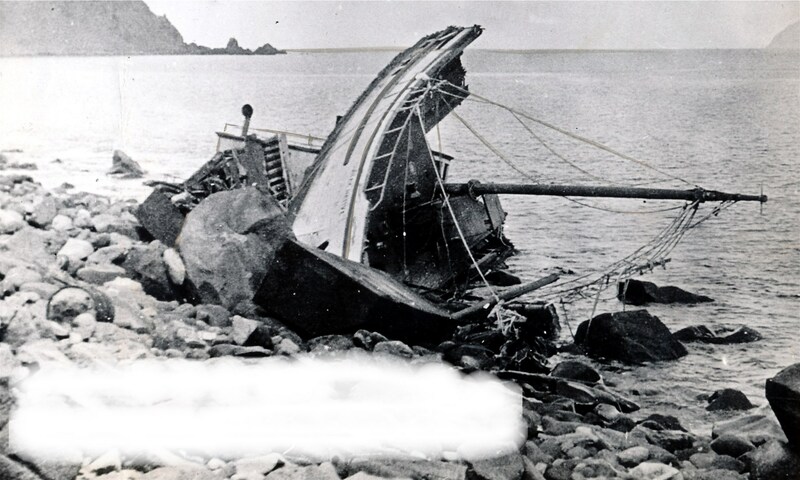 Her stores were transferred to the Carlotta in an unsuccessful attempt to lighten the vessel and get her over the bar at Wainright Inlet. The Paiea had departed Honolulu January 7, 1871 bound for whaling in the Arctic. PFEIL (1869) The Hawaiian brig Pfeil was lost August 6, 1869 at Cape York. The crew was rescued and taken to San Francisco aboard the bark Menshikoff. The Pfeil had been operating as a trading vessel in northern waters. PORCIA (1871) The vessel Porcia was lost in the Arctic in 1871.